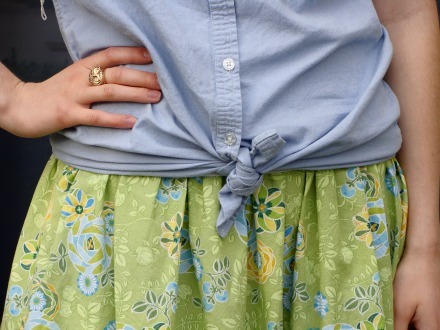 I just realized that I wore this skirt last Monday. 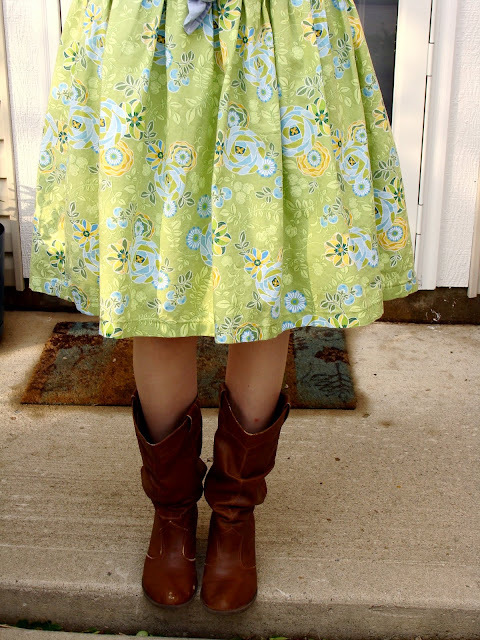 :) I'll have to make sure that I don't wear it again next Monday, otherwise I'll be in a Monday only skirt rut. 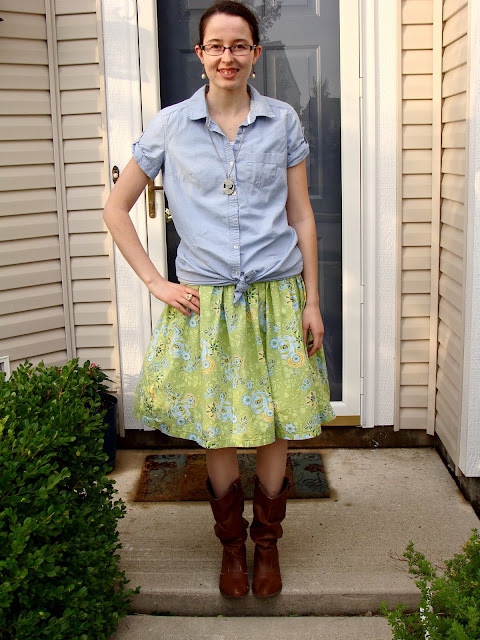 This is also the first time I ever wore the chambray tunic with a skirt. Last week I discover that if you loosely tie the front, you can wear the shirt with other things besides jeans and Capri's. Otherwise it is just too long for most skirts - well, the ones I wear in the summer. Cute! Reminds me of running through a field of tall grass, though I've never done any such thing. You should put a close-up of your necklace. I'd like to see it. QUOTE: "Last week I discover that if you loosely tie the front, you can wear the shirt with other things besides jeans and Capri's. Otherwise it is just too long for most skirts...."
Ahh! Thanks for the tip--I have a green blouse with the same problem. Methinks I'll try this trick and see if it helps. God bless, and have fun mixing and matching!